A flight was delayed for more than two hours on Thursday after a paranoid passenger suspected a professor writing out math equations was a terrorist, the academic says. 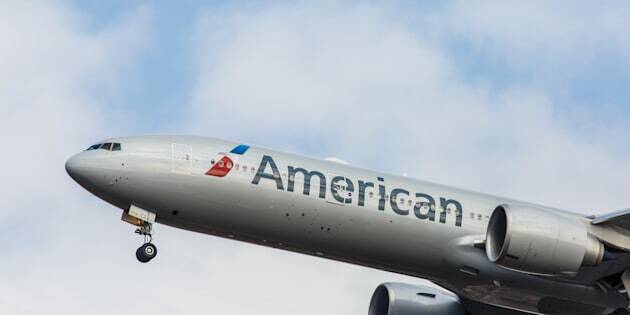 American Airlines confirmed with The Huffington Post that the Thursday evening flight from Philadelphia to Syracuse was delayed after a female passenger said she was sick and “expressed some concerns” about the behavior of a male passenger. Spokesman Casey Norton could not confirm the names of either person on the Air Wisconsin-operated flight due to privacy regulations. But Guido Menzio, an Italian University of Pennsylvania economics professor told The Washington Post that he was the suspect. His seatmate tried making small talk while the flight was boarding, but he wasn’t particularly talkative because he was trying to work out equations on a notepad, Menzio said. Shortly thereafter, the woman handed a note to a flight attendant, who returned and asked if the woman was “too sick” to fly, he said. She disappeared with the attendant and the pilot asked Menzio to get off the plane. "I thought they were trying to get clues about her illness," he told The Associated Press in an email. "Instead, they tell me that the woman was concerned that I was a terrorist because I was writing strange things on a pad of paper." He told The Washington Post that he laughed when he heard someone thought his differential equation was terroristic scribbling. American Airlines spokesman Casey Norton said that the man was questioned by airport security, not law enforcement. He added that The Washington Post’s characterization of the interaction as an “interrogation” was incorrect. The flight, initially scheduled for a 7:20 p.m. departure, ended up taking off at 9:42 p.m. Menzio was on the plane, but his former seatmate opted to take another flight.